« What is your legacy, dear traveller? Already in November, Russia held separate meetings in Moscow with a top opposition leader, Ahmad Moaz al-Khatib, and with a delegation headed by Syrian Foreign Minister Walid Muallem. Al-Khatib subsequently called for direct talks with al-Assad’s government to try to end the war. Differences between Jaysh al-Islam and Jabhat al-Nusra have emerged, revealing the existence of a huge tunnel linking the Barzeh and Harasta neighborhoods of Damascus. The tunnel had been dug at considerable cost in order to transfer supplies to the fighters in Ghouta (an area of northeast Damascus countryside) and break the siege imposed by the Syrian army on the Ghouta neighborhood. Although the location and route of the tunnel remain unknown, its existence was uncovered when Jabhat al-Nusra’s emir in the region arrested a leader in Jaish al-Islam who was tasked with overseeing the tunnel. Both movements exchanged accusations, each side accusing the other of trying to monopolize the tunnel to serve its own interests. 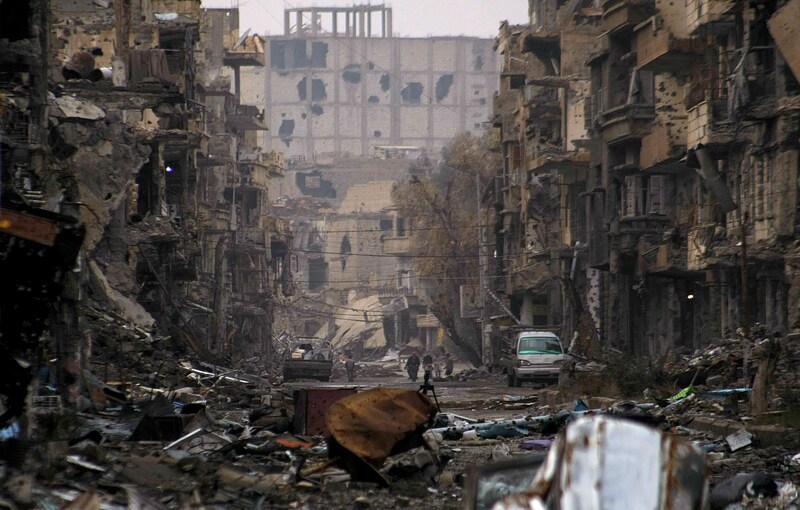 It is noteworthy that the Barza neighborhood has been one that was covered by a settlement agreement between the militants and the Syrian army for several months now. Uncovering this tunnel might affect this settlement, especially if it is proven that some factions which signed the settlement had kept the tunnel secret or participated in using it. Jabhat al-Nusra’s attempt to take over the tunnel indicates that it has a plan to carry out acts in East Ghouta. This is especially likely as information has been circulating about rising disputes between the movement and Jaish al-Islam. Moreover, Jabhat al-Nusra is worried about the increasing power of IS (Islamic State) in some regions in the Damascus suburbs (for instance Rif Dimashq east of Damascus), where IS announced forming a camp to train “the caliphate cadets” in south Damascus. In the same context, IS militants managed to take over the Bir al-Qasab area of the Damascus suburbs following violent clashes with Jaish al-Islam that went on for several days. Bir al-Qasab is a strategic location for East Ghouta as it constitutes a supply line out to the Jordanian border. Bir al-Qasab is also important for Daraa, as it is the gateway to Daraa due to its proximity to al-Lajat region. It is no longer a secret that IS intends to enter Daraa. A local source in Al-Hajar al-Aswad city informed the press that Jaish al-Islam’s campaign against IS in the past few months did not destroy the latter. This is contrary to what what Zahran Aloush (head of Jaish al-Islam) and his media platforms recently declared. 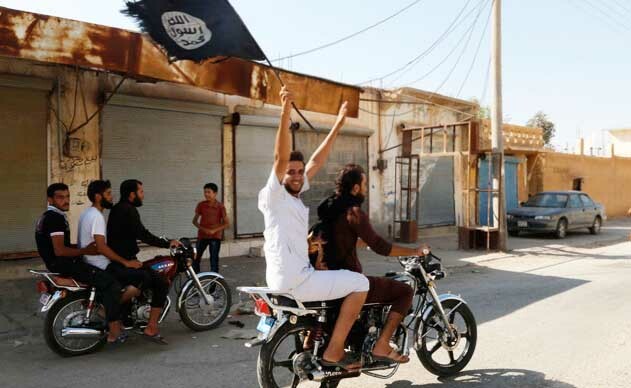 IS militants hid and disappeared, waiting for the right moment, which seems to have come now. The Syrian army has kept control of the Deir ez-Zor Airport after succeeding in thwarting an attack by IS on the military airport. Although clashes are still ongoing in the surrounding areas, they have lessened to a large degree. IS fighters quickly retreated after their attack on the airport failed, withdrawing to the outskirts of surrounding villages. The Syrian army launched intensive airstrikes on IS strongholds in the villages of al-Jafra, al-Hawija and Marihiyak in order to further secure the airport area and prevent fighters from having a second opportunity at getting close to its walls. On December 7 airstrikes also hit Hawija Saker, which witnessed violent clashes between the two sides, leading to the death of a number of IS fighters. Raids also targeted neighborhoods inside the city of Deir ez-Zor — in the al-Omal and al-Matar neighborhoods as well as the gas station near Ghassan Abboud roundabout, which led to the outbreak of fire. During the past few days, the military clashes raging in the areas surrounding the military airport of Deir ez-Zor have led to the death of dozens of IS fighters, which included Arabs and foreigners, but many were from the countryside of Deir ez-Zor, particularly from the villages of Bou Lel, Bou Omar, and Mohsen. This prompted locals to accuse IS of sending the young men of these villages to their demise. Many people suspect, that mobilizing young men to join IS fights is part of an ongoing massacre against the people of Deir ez-Zor, which has been underway since it first controlled the city a few months ago. They believe that the objective of IS is clearly to get rid of the city’s young men who are capable of fighting and thus ensuring that no rebellion can rise against it, as happened with the Sheaitat clan in eastern Syria. Suleiman Issa al-Kahilat (aka Abu Hajar Al-Sheati), who is the brother of Abu Ali Al-Sheati — one of the first people to pledge allegiance to IS in the city at the beginning of the year — was among those who perished in the clashes. Meanwhile, in the countryside around Aleppo, clashes between Jabhat al-Nusra and other armed factions have been intensifying. 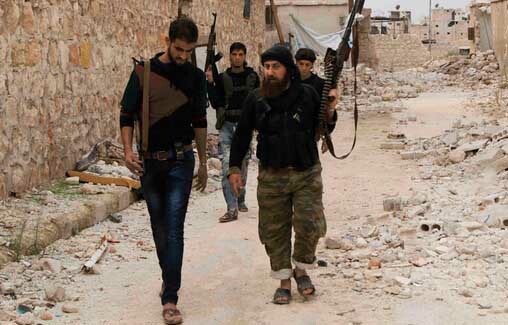 The tensions in the suburbs of Idlib persist between Jabhat al-Nusra and the Hazm Movement, as the repercussions of the arrest of the leader of the movement, Mashhour al-Tawil, are still unfolding. Recently, the movement issued a statement threatening to target hundreds of Jabhat al-Nusra’s leaders and militants if their leader was not released. However, the authenticity of the statement was dubious but facts indicate that things are heading toward escalation. This is especially the case since Jabhat al-Nusra has insisted on destroying any allies of Jamal Maarouf in the suburbs of Idlib. They are paving the way for turning the region into an emirate, even though there is no official declaration of such a thing. The tensions worsened yesterday in the Idlib suburbs when news circulated about the disappearance of a member from “the Sharia Committee of al-Sham Legions,” Sheikh Abdullah Rahal, and Jabhat al-Nusra was accused of abducting him. 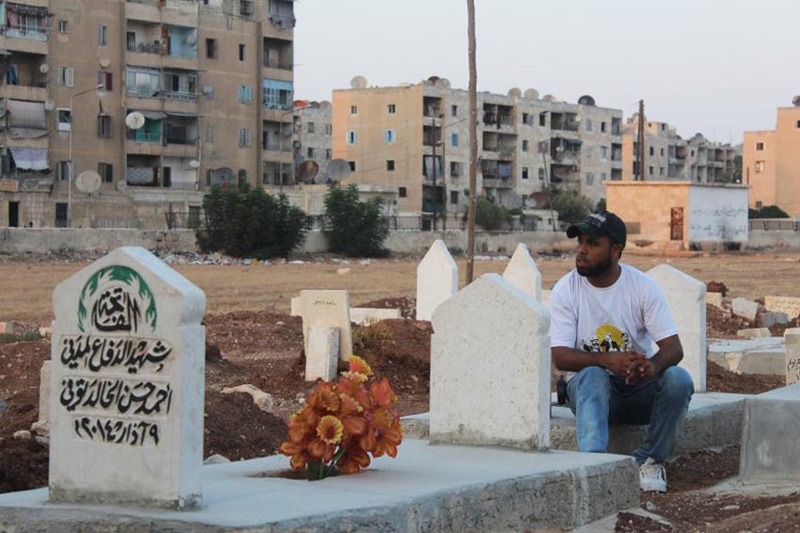 Edward Drake, an Aleppo based journalist who was initially supportive of the rebels but has become disillusioned over time, told the story of Ahmed, a young farm laborer from a village near the town of Azaz, bordering Turkey, as a striking example of how the Syrian revolution brought out the worst in people even before it had the chance to further ideals of pluralism, tolerance, and democratic civil rule. Ahmed was eventually persuaded not to go through with it, as a new and better deal soon came to town: the rebel militias. Arms flowed into the northern Aleppo countryside through the old smuggling routes that had served the people of Azaz for decades and new local militias started appearing everywhere in early 2012. Ahmed quickly joined what would become the “Fateh” brigades of Azaz, a largely criminal outfit geared toward extortion, theft and abuse of both local people and passers-through. They were involved initially in the fighting that ousted the small forces the Syrian regime had sent to restore its authority in the area, but after that small victory, they rested on their laurels and started to reap the fruits of their labors. Ahmed became an abusive mini-tyrant. His gun and militia had given him power, and it went to his head. He started going after people who he thought had wronged him when he was an impoverished laborer. He shot and killed one of them after deliberately provoking him, a middle-aged man who had once beaten Ahmed for leering at and harassing local girls. Ahmed is by no means unique. There were many like him who quickly corrupted the revolution and helped turn it into a destructive force of wanton violence, revenge, and crime. But this warlord utopia wouldn’t last long. 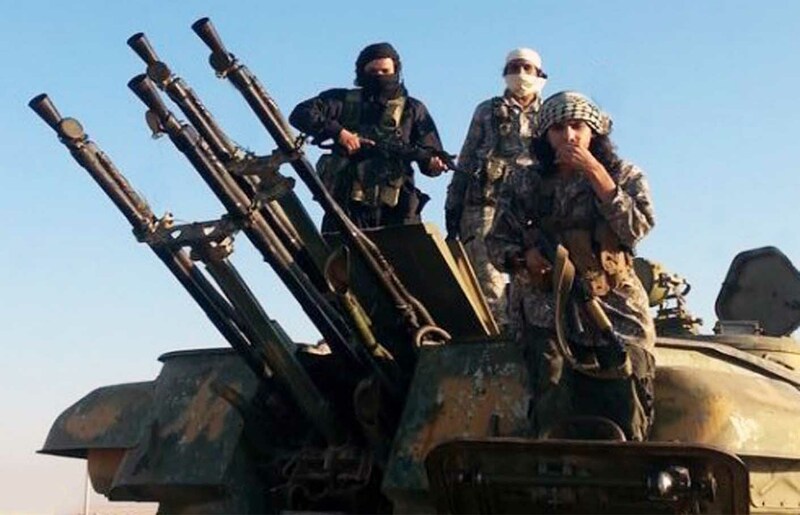 IS and its former rebel allies turned on one another and split from Jabhat al-Nusra in Syria. Most of them packed up their gear and were gone the next day. Like scuttling rats, they left for the Bab el Salameh crossing. IS came in unopposed the day after, and did a victory lap around the town in their pickup trucks. Some stayed, including Ahmed, who thought this would be an even better opportunity to join a stronger group and get more power and plunder. This would prove to be a tragic miscalculation. IS knew about Ahmed and people like him. They had not much use for criminal layabouts. He was cannon fodder, sent straight to the front lines in Deir ez-Zor to fight against local groups and Jabhat al-Nusra at the time when IS was trying to establish its caliphate. Instead of the easy life he hoped for, he was soon killed and his remains sent home to be buried in his village a couple of days later. On November 28 President Bashar al-Assad gave an interview to Paris Match and he countered the often offensive and disrespectful questions and allegations of the interviewer brilliantly. Is IS’s next target Daraa or Ghouta? Islamic State leader Abu Bakr al-Baghdadi may have gone to Syria with some of his associates to oversee an alternative plan to confront expected developments, in light of talk that the battle of Mosul is near. Meanwhile, IS movements in the Damascus countryside are raising questions about Baghdadi’s next target. Tensions in Bir al-Qasab in the Damascus countryside have peaked, especially after IS announced two days ago that it is sending more military support to the area, a matter that raised the anxiety and stress levels among the armed factions’ leaders amid speculation that IS’ next goal is to enter Daraa. Or could that be preceded by fabricating events in east Ghouta, which these days is experiencing many assassinations, illustrating the danger awaiting the area? The latest IS moves in some Syrian areas, whether in the East or South, raise many questions, especially as these moves came in conjunction with information indicating that Baghdadi recently moved from Iraq to Syria along with some members of the Shura Council and his inner circle. Although such leaks may not be innocent and may be intended to camouflage Baghdadi’s real location and give him an aura of mystery, opening the Deir ez-Zor front in this violent way and threatening all of Daraa and the Damascus countryside point to the existence of an alternative IS plan to confront the developments that could happen in the coming months, especially in light of the battle of Mosul. Did IS’ leadership feel threatened by the danger in Iraq and decide to expand its influence in Syria? Or does it really have a surplus of power that allows it to fight on two fronts, in Syria and Iraq, and against all opponents at once? There is no doubt that IS choosing Bir al-Qasab to be an IS center has raised fears in Daraa and eastern Ghouta. This confusion about the ultimate goal may be intentional in order to camouflage IS’ true intentions and to split up its opponents’ efforts. It was striking that IS’ information office of the Damascus province announced yesterday [Dec. 9] that additional supplies are being sent to Bir al-Qasab. The announcement was accompanied by pictures of these supplies. IS usually does that to raise the morale of the fighters and to exercise psychological warfare on its opponents. About a week ago, a leading figure in Jabhat al-Nusra, Abu Maria al-Qahtani, said that there are fears that IS’ next move will be toward Daraa, pointing out that Jabhat al-Nusra’s leader Abu Mohammad al-Golani has personally ordered the mobilization of the youth to confront such a development. Abu Muhjin al-Shami, a Jabhat al-Nusra leader in Ghouta, warned a few days ago on his Twitter account that IS’ real goal is east Ghouta, not Daraa. This indicates the degree of confusion caused by the IS hordes in Bir al-Qasab, including confusion among leaders of the same faction. It seems that in the Damascus countryside and in east Ghouta (it is believed that IS is not present in west Ghouta), Jabhat al-Nusra has started taking preemptive measures to prevent the IS tide from reaching Jabhat al-Nusra’s areas of influence. Jabhat al-Nusra is also trying to reduce Jaish al-Islam’s control of some key supply sources. In this context, two leaders associated with Jabhat al-Nusra have been assassinated. Jabhat al-Nusra suspected that they had a relationship with IS so it killed them before they become dangerous. The first was Abu Khattab al-Iraqi, a Jabhat al-Nusra leader and a veteran jihadist in Syria. He was killed because he defended IS in one of his discussions. The second was Abu Mohammad al-Iraqi, the general jurisprudence official of Ansar al-Sharia, which was founded a few ago months by Jabhat al-Nusra defector Abu Amir al-Urduni. He used to be the emir of al-Marj in Ghouta, then he was dismissed because he leaned toward IS. Although Iraqi’s assassination happened under mysterious circumstances, the fingers immediately pointed to Jabhat al-Nusra because its leadership had warned that the new organization carries ideas identical to those of the Kharijites, meaning IS. Days earlier, Abu Khadija al-Urduni (actual name Bilal Awad Abdul Razzaq Khuraisat), Jabhat al-Nusra’s general jurisprudence official in East Ghouta, arrested an official from Jaish al-Islam who was responsible for overseeing the large tunnel linking Barzeh to Harasta, a tunnel dedicated to transporting supplies to Ghouta militants. Ghouta is under siege by the Syrian army. Finally, it may be significant that the commander of Jabhat Thuwar Suria in the south, Abu Osama al-Golani, announced his withdrawal from the Military Council in Daraa. Before that, he announced his withdrawal from the “Wa I’tasimu Initiative” and had declared that he has no relationship with the Revolutionary Command Council, which the initiative produced. The Revolutionary Command Council was established two weeks ago. Are these events just precautionary measures by some factions to prevent any developments? Or are they real indications that the storm has already begun to reach the factions?